If a stranger was hurt in an auto accident, was choking in a local restaurant, drowning, etc., would you try to save them? How about if it was a family member who needed a live donor? If you could give back a life, would you? If you answered yes then let me tell you that there is a way that you can really give someone their life back. ARE YOU ANORGAN DONOR? If you already are, then we, who are in great need, thank you from our hearts. There is no gift that could be more precious than replacing certain death with life! It may even be one of my friend’s lives that you save! You may or may not know me, but my name is Meghann. In February of 1993 I became extremely ill due to a random Staph Pneumonia in both of my lungs. After clinging to life on the respirator for 21 days, I finally started my road to recovery – although it did not lead to where I had hoped. My lungs were permanently damaged from the staph infection. My only hope for a longer life would be a double-lung transplant. I was listed that very same summer and spent 3 and 1/2 years on the waiting list. I did not receive a transplant because my condition became stable enough to the point where I could afford to go off the list. Now, 12 years later, I find myself once again being listed for a double-lung transplant. And my wait begins anew. I pray everyday that people find it in their hearts to choose organ donation and to especially notify their loved ones of their decision to donate their organs. I am not alone. 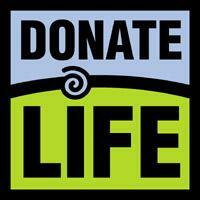 As of May 1, 2008, there are 99,134 people in need of an organ transplant. Each day, about 77people receive organ transplants. However, 19 people die each day waiting for transplants that can’t take place because of the shortage of donated organs. Did you know that there are a variety of people who need transplants? There are people waiting from new-born infants to some of the elderly. No matter your age, there is probably without a doubt someone who needs your organs if you pass, sometimes even if you're alive! Although I have not personally met any of my friends on the Transplant Buddies website, they are now a part of my family. We help each other by sharing our experiences, hopes and fears with one another on a daily basis. Like me, their lives have been touched by organ donation in one way or another. Can you make that commitment to save the lives of people like Holly, Karen, and the others in the world in need of organs? Of course you can...become an organ donor today!! Thank you very much for reading our message. If you can kindly forward our message of Hope, we would greatly appreciate your efforts. The Karen’s and Meghann’s and Holly’s of the world are one of the reasons I tell people about Kari. The other reason is because, in a very literal way, part of her is wrapped around my heart – and I want her smile and her legacy to live forever. As Meghann asked – can you make that commitment?